Many patients notice that their teeth aren't as white as they used to be. There are many reasons why teeth discolor over time. Aging, consumption of staining foods and beverages, injury, previous dental work and exposure to antibiotics as a growing child, can all contribute to the discoloration of your teeth. 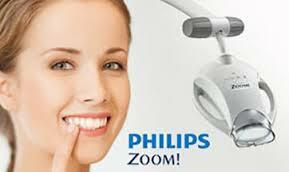 Home Bleaching is a popular procedure which is simple and effective. Impressions are taken of your teeth and from these impressions, clear trays are made that fit over your teeth. Once at home, you inject a small amount of the bleaching gel into the tray. You then place the tray over your teeth and wear it for a few hours daily. Most people choose to wear the trays while they are sleeping. After about two weeks, most people find their teeth to be as white as they are going to get. Prior to treatment, there will be a consultation where the dentist will outline the exact procedure. Then, special eyewear will be provided to protect the eyes from the halide light, and splashguards to protect the clothing from the bleaching agent. Crowns, veneers, and fillings will not change shade during the bleaching process and might need to be replaced to match the new shade of your teeth. The results can last up to several years, however eating certain foods and smoking can reduce the longevity of your results. In the future, you might want to "touch up" your bleaching every year or so to keep your teeth as white as they can be.